as guests and workers recycle foodstock? Methane from human waste is not used for any large-scale energy production anywhere that I can find in a little Google-ing ... cow and pig waste, yes, but those systems involve a huge amount of material that is already being moved every day, so added costs are lower. Gathering up - er, material from the hotel septic system and getting it into a biomass system would be expensive, and probably run afoul of lots of health codes. 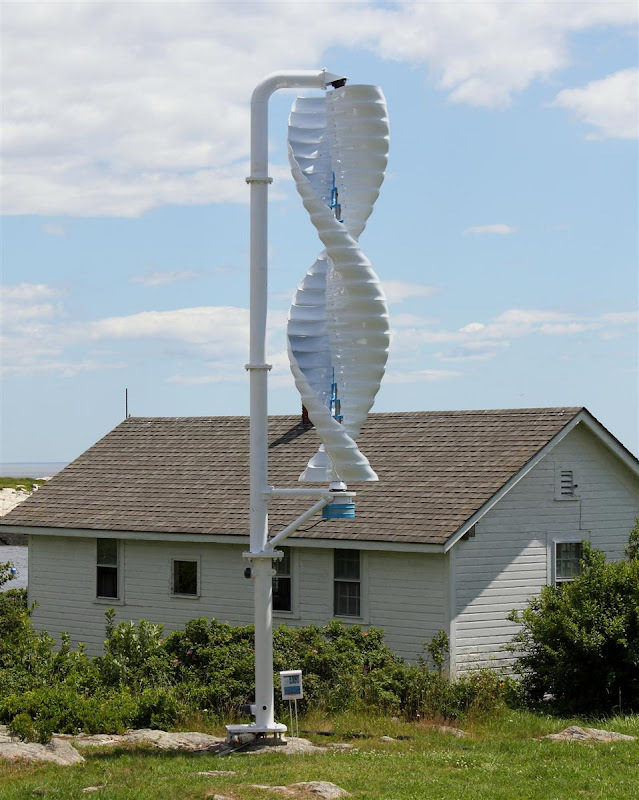 Jim - My wife helped install the wind turbine on Appledore Island. It is primarily used for powering the equipment used by UNH for the AirMap project year round. As part of the approvals, the turbine is designed to be taken down by one person in less than 5 minutes. That mast added quite a bit of money to the project. Thanks for the comment. That's really interesting about the code requirements on the tower. The mast seems pretty high, so I can see how rigging it up so the turbine could be easily taken down would have been a costly add-on. Thanks for this interesting look at how the people on the Isles of Shoals get their electricity. I'm very interested in how island communities meet their utility needs; you got some great pictures and information on Appledore and Star Island. If you're interested, you can read more about island energy issues -- and energy policy in general -- on my blog.